It’s this expertise, focus and commitment that sets Rent Right apart from other property management companies. Rent Right’s extensive knowledge and experience in the property management and real estate sector ensures your investment is in good hands. We want you to do well…..
Property investment is about maximising your returns and we are experienced property specialists dedicated to effectively managing your investment to help you achieve this. We carefully match a tenant with a property so that both the landlord and renter are satisfied and happy. This helps to ensure the rental is long term, reducing the risk of having an empty property and therefore no rent for a period of time. Rent Right markets your property effectively using a number of methods including print advertising and internet marketing. As our tenants and landlords are of a high calibre, we “niche target” our marketing which has yielded outstanding and prompt results for our landlord clients. With our tax and business specialist(s), we make sure you maximise your financial returns from year to year as well as eliminating the many hours you can spend finding and identity/credit checking tenants, signing leases, lodging bonds and inspecting and maintaining your property. Our expert knowledge of the Residential Tenancies Amendment Act (RTAA) 2010 will help you avoid the pitfalls of what can be quite complicated legislation. It’s a highly specialised aspect of real estate and is fraught with the potential of litigation. Maintaining good returns for clients combined with Rent Right’s extensive knowledge and experience in the property management and real estate sectors, are some of the reasons why our clients come to us in the first place and why many others keep coming back. It’s this expertise, focus and commitment that sets Rent Right apart from other property management companies. Maintaining and fostering good communication with both the tenant and landlord ensures a good relationship and further encourages a long term rental. We maintain regular communication with the landlord in a way that suits the landlord – written reports that are posted or emailed; regular phone calls – we tailor our service to suit your requirements. We also encourage and foster communication between the tenant and Rent Right should something require attention in or on the property so it can be dealt with as soon as possible – which is in the interests of both the tenant and the landlord. Rent Right will provide landlords with detailed reports on all maintenance carried out and will liaise with the landlord prior to any work being started, should the costs fall outside our agreement with the property owner. Our contacts and networks in the property maintenance sector means we can obtain quotes at very cost effective rates, often at lower rates than you would be able to get, yourself. Rent Right is dedicated to providing a robust and transparent financial accounting system for clients. The stringent checks we make prior to a tenant signing a rental agreement will minimise the chances of rent not being paid or being late, however, if this did happen, we have a process in place to manage such an eventuality. Our dedicated accounts payable / debt administrator makes personal contact with the tenant as soon as the daily account reconciliation shows the default and every effort is made to personally speak with the tenant. Should the arrears remain a further day, a formal written response is dispatched. If the issue remains unresolved, legal / breach of contract proceedings would ensure. However, in our experience, this is highly unlikely with all the work that goes into checking and matching tenants from the outset. Landlords are paid according to their management agreement with Rent Right and the payment cycle of the tenant, whether it is twice-monthly or monthly. All rental income is deposited into a trust account which is independently audited every three months. At the end of each financial year we compile all of your annual financial statements relating to your rental property or properties, for your accountant. If you would like to discuss how to engage Rent Right for your property management needs, email info@rentright.co.nz or call 3774939. This applies to landlords either currently managing their own property or using other property management companies. It is simple and easy to change your property manager. Call us to discuss – obligation free. Phone 3774939. 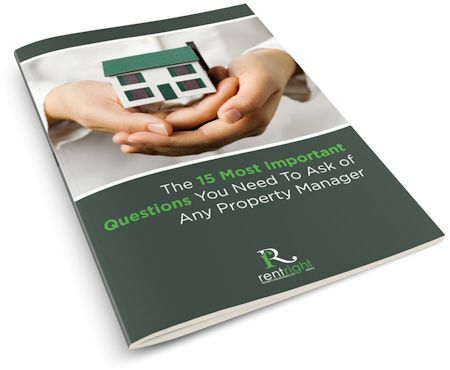 Click here to download the PDF from the Real Estate Institute of New Zealand, outlining the advantages of using a property management company that is licensed with the REINZ.